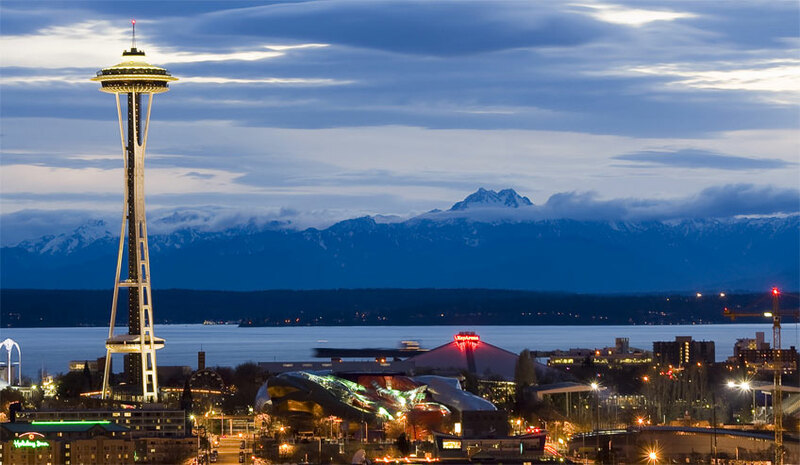 Today begins a six month celebration of the 50th Anniversary of the World’s Fair and the Space Needle… as a Seattle, Washington symbol and attraction. The celebration runs April 21 – October 21st, 2012. The Seattle Center showcases festivals, sporting events, fireworks at the Needle on New Year’s Eve, arts & entertainment, and holiday happenings. The Seattle Center is changing and leaving behind some history with it. One thing that the Space Needle represented fifty years ago is the future (space age), and today in 2012, the anniversary celebration takes on “The Next Fifty” in which the city will be focusing on the areas that will promote future development and well-being for the area. Many human interest stories and other are being showcased right now… whether it be the iron worker that helped build the Space Needle, the shuttle drivers, or of those that came to enjoy the rides. It was just recently that the amusement part of the Seattle Center has been removed. Elvis Presley showed up at the fair in the late summer to shoot “It Happened At The World’s Fair”. There have been books published. The local newspapers, magazines, and news stations of the Puget Sound are featuring these stories. Check out their websites for past photos, stories, and a list of events. Visit the Cottage at Heritage Park (exit 181 East in Lynnwood) – see memorabilia and drop a note in the basket that represents a memory of the World’s Fair. My parents actually had their first date at the World’s Fair. While you are there, visit the South Snohomish County Visitors Center – it offers a wonderful selection of brochures and information about the Pacific Northwest, as well as some history of the Alderwood Manor area. Whether you are 20 or 90 years of age, take the time to learn or to remember, and you will no doubt find it fascinating. This was and is both a local and international celebration. So cool!